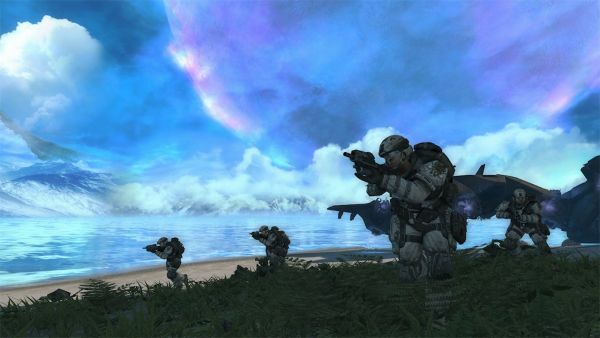 Here's a bit of awesome information that Microsoft just confirmed to us - Halo: Combat Evolved Anniversary will include the popular four player co-op Firefight mode found in Halo 3: ODST and Halo Reach. As the anniversary edition is rumored to be built on the Reach engine, we imagine that Firefight will be fairly similar to it with all of the customization options. The game will also feature two player split-screen play for Firefight and the Campaign alongside the online support for both co-op modes. Suddenly your $39.99 just went a whole lot further. Page created in 0.2444 seconds.